There are 133 countries in this guide. 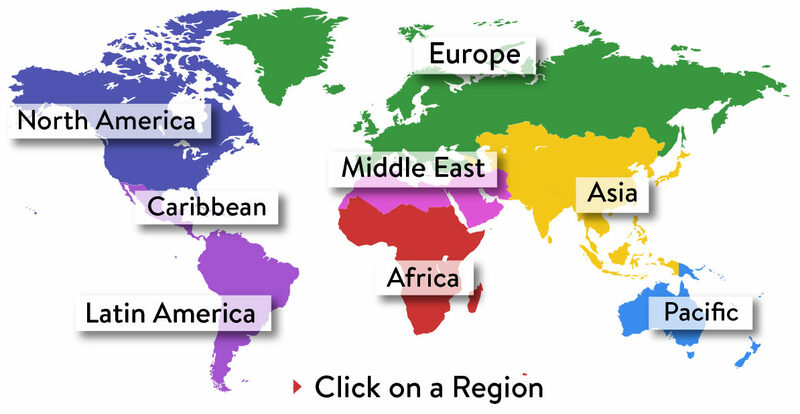 Click on a region to see detailed regional maps, or select from the country list below. Decide on the most profitable country in which to buy property. We pick out the key data. We help you look at any property purchase with key financial angles in mind: price trends, taxes, buying and selling costs, landlord and tenant law, and property inheritance. The latest news about property markets from around the world. Property offers from our advertising partners, sorted by country. We take a rest from our financial focus, and look at the attractions of the countries you are interested in - why you should spend time there, and where is it most enjoyable to live.